CALL FOR SUPPORT and VOLUNTEERS! 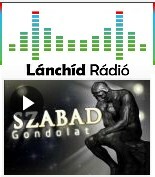 The 2013 Smithsonian Institution's Folk Life Festival is highlighting "Hungarian Heritage - Roots to Revival!" We need volunteers and your financial help! 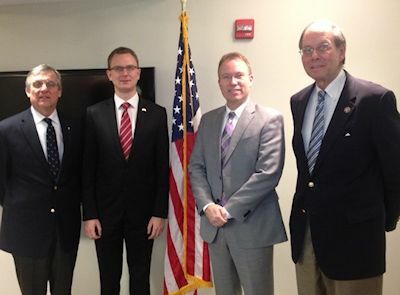 United States Helsinki Commission holds Hearing entitled, "The Trajectory of Democracy – Why Hungary Matters" - AHF TESTIMONY ENTERED INTO RECORD calling for fair, non-partisan analysis. 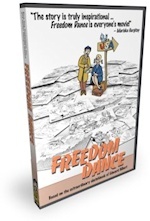 Includes video and radio interview of AHF President. AHF commemorates Hungarian National Day and the 1848 War of Independence. AHF Media Watch (AMSz Figyelo): AHF launches special Members-only service. Watch the podcast of Subcommittee Hearing on Hungary: Anti-Semitism: A Growing Threat to All Faiths. AHF meets with State Secretary Bence Retvari who was representing a Hungarian delegation visiting the United States at the invitation of the US Department of State’s International Visitors Leadership Program. AHF again responds to Senator Ben Cardin, Co-Chair of the US Helsinki Commission. In his December 20, 2012 statement, the Senator was unfairly critical of Hungary. Hungarian Scholarship Fund (HSF) / Magyar Ösztöndíjalap surpasses $400,000.00. Join us and help! 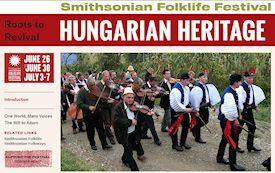 3/25/2013 - The 2013 Smithsonian Folk Life Festival features "Hungarian Heritage - Roots to Revival." AHF Executive Committee commits to $10,000.00 seed money toward the $100,000.00 needed for the building of the Hungarian Pavilion and grounds and related expenses. In addition to the structures of the Hungarian Market (Piac), there are two major structures planned. One is a vertical "Peacock Tower," visible from the distance, which would serve as the main architectural symbol, the landmark of the Hungary Program. The frames of the bottom part would create an exhibition area where we could give basic information about Hungary’s geography, history, population, natural resources, heritage sites, etc. The roof structure would exhibit the peacock logo and at the same time it would carry the automated bell-system playing the festival’s musical signal. The central Hungarian Dance Pavilion was designed by Ybl Prize-winning architect József Siklósi. A student of Imre Makovecz, József worked with him for 24 years. They have worked together on many well-known and acclaimed structures such as the famous Sevilla World Fair Hungarian Pavilion where József was also the architect manager of the construction work itself. With its modern circular and open-air structure it is envisioned as the “beating heart” of the festival, where most of the communal events such as the evening dance-parties (dance-houses) and dance teaching would take place. This is a circular 12 sided structure, reminding the form of a so-called dry-mill (szárazmalom). 3/19/2013 - United States Helsinki Commission holds Hearing entitled, "The Trajectory of Democracy – Why Hungary Matters" to "examine Hungary’s constitutional changes with a particular view to the independence of the judiciary, present-day Hungary’s relationship to its Holocaust-era past, and the implications of Hungary’s sweeping legal changes for civil society, including an independent media and religious organizations." 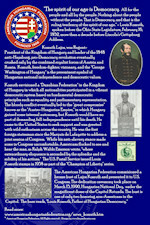 AMERICAN HUNGARIAN FEDERATION TESTIMONY ENTERED INTO THE RECORD. AHF's statement calls for fair and non-partisan analysis of developments in Hungary. The statement briefly addresses two issues: (1) the need to distinguish between genuine concern for the state of democracy in Hungary and the use of rhetorical democratic pretexts skirting democratic institutional norms that are being used to wage a political campaign to negate the voting public’s clear and overwhelming choice of the current government in the 2010 internationally recognized free and fair elections; and (2) the need to vigorously promote democracy by supporting the rights of religious and national minorities, including the rights of the Hungarian minorities living in countries bordering Hungary. 1/17/2013 - AHF meets with State Secretary Bence Retvari who was representing a Hungarian delegation visiting the United States at the invitation of the US Department of State’s International Visitors Leadership Program. Mr. Rétvari is Minister of State for Public Administration and Justice. He is a Member of Parliament for the KDNP (Christian Democrats) a part of the ruling coalition. A number of topics of interest to the community, such as good American / Hungarian relations and minority rights, were discussed at the afternoon session. The delegation is scheduled for numerous visits across the country. 12/12/2012 - The Hungarian Scholarship Fund (HSF) / Magyar Ösztöndíjalap surpasses $400,000.00. AHF's Hungarian American Education and Cultural Preservation Fund (Amerikai Magyar Oktatási és Kultúrális Alap (AMOKA) supports the HSF. Founded by AHF Board Member, Prof. Bela Bognar, the HSF supports students who are economically disadvantaged and live in Hungary and in the countries which were separated from Hungary at the Treaty of Trianon which cost Hungary 2/3 of her territory, 1/3 of her Hungarian population and vast natural resources. Magyar Jótékonysági Bál / 8th Annual Hungarian Charity Ball! Dr. Naomi Halas (Halász) is the Stanley C. Moore Chair of Electrical and Computer Engineering at Rice University where she holds faculty appointments in the Departments of Physics and Astronomy, Chemistry, and Bioengineering and leads the Halas Research Group for Nanoengineered Photonics and Plasmonics. She is a pioneering nanotechnologist seeking practical applications for her work. She is known as the inventor of nanoparticles with tunable optical properties controlled by their shape and structure and pursues fundamental studies of light-nanoparticle interactions that give rise to new properties and effects, leading to useful applications in biomedicine, chemical sensing, and energy. Her "gold nanoshells" (tiny glass nanoparticles coated in gold) are so small that 1,000 would fit across the width of a human hair and absorb large amounts of light, resulting in a dramatic rise in their temperature. They interact with the widest possible spectrum of sunlight energy and can be tuned to absorb specific wavelengths of light. For example, when light passes harmlessly through the human body, that light hits the injested nanoshells where they grow hot enough to burn away targeted nearby tissue such as a tumor. Later research revealed this same behavior could turn ice water into steam with sunlight, leading to far-reaching implications for disinfection, water distillation and desalinization, and green energy. With over 200 publication and election to Fellow of the American Physical Society, Dr. Halas' scientific career and history of innovation is nothing less then remarkable and a great source of pride for the Hungarian-American community.